Few sportsmen have introduced more people to hunting then Larry Weishuhn. 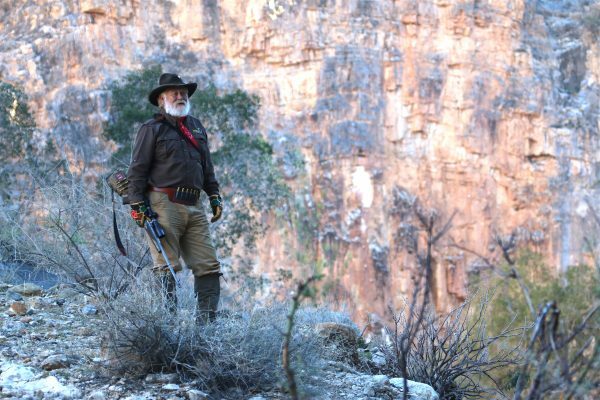 Widely recognized as a personality on countless hunting shows and a renowned author, Weishuhn currently hosts the Dallas Safari Club’s Trailing the Hunter’s Moon on Sportsmen Channel. Weishuhn is the author of an award winning book of the same name and hundreds of articles not to mention bagged an even greater number of whitetail deer over the years, earning him the nickname Mr. Whitetail. He spoke with LiveOutdoors recently between hunts in Texas and offered his top three tips for deer hunters. Whenever striking out to a new location, it’s important to learn as much about the habitat and the animals in the area as possible, Weishuhn said. You want to know their food habits and anything else you can glean. If you can, speak to someone who knows the area and has hunted it before. Before you head out for any hunter, you always want to be fully acquainted with your equipment such as a rifle, shotgun or bow. Always know the capabilities of your equipment and your own capabilities with using it and then stay within those parameters, advises Weishuhn. Speaking from someone who hunts nearly 280 days per year, Weishuhn does not easily make excuses not to hunt and he says neither should you. A lot of people will look for a reason not to hunt. It’s too cold, the wind’s blowing too hard, it’s too cold, raining or snowing. You name it. Read our extended feature on Weishuhn here.